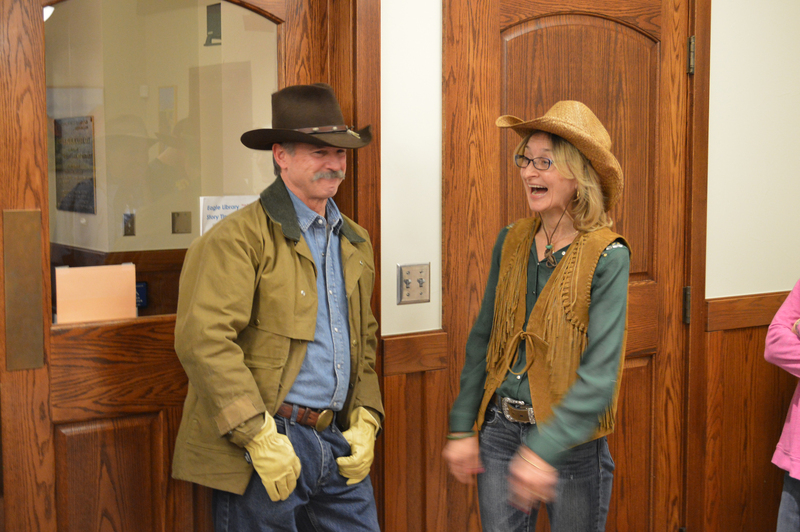 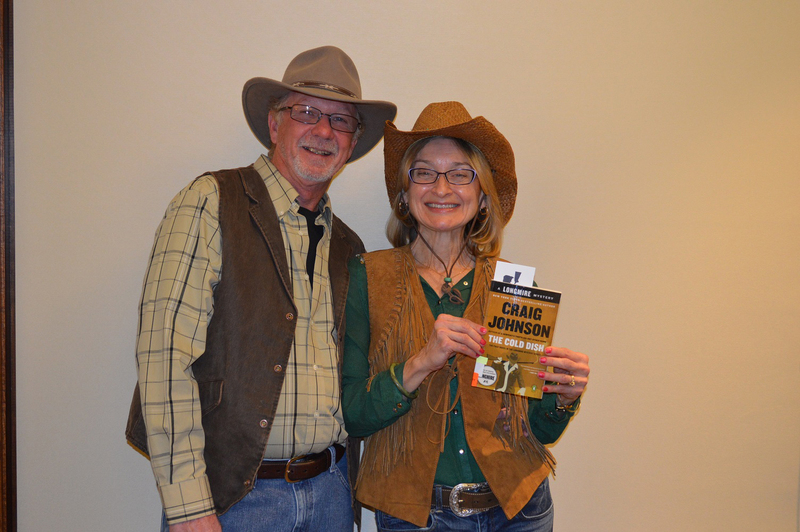 Lori Ann Barnes, Town of Vail Librarian, and her husband, Gene Walker. 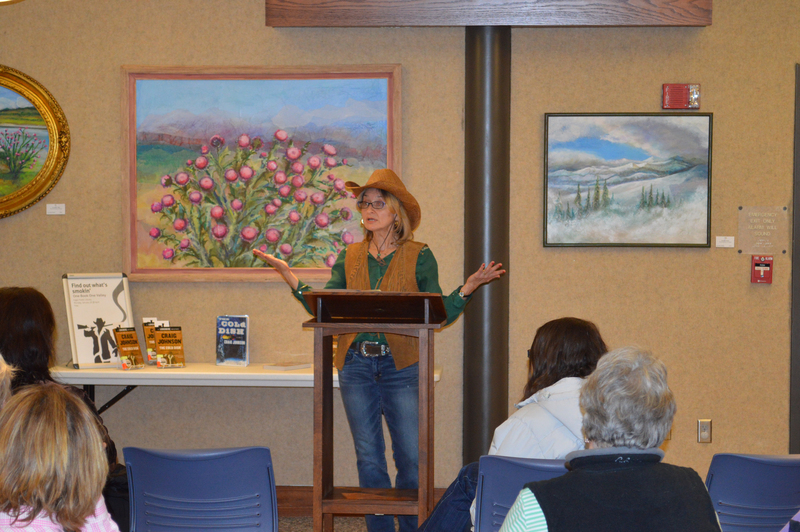 Lori Ann Barnes, from the Vail Public Library, gives opening remarks during the 2015 One Book One Valley kick-off event. 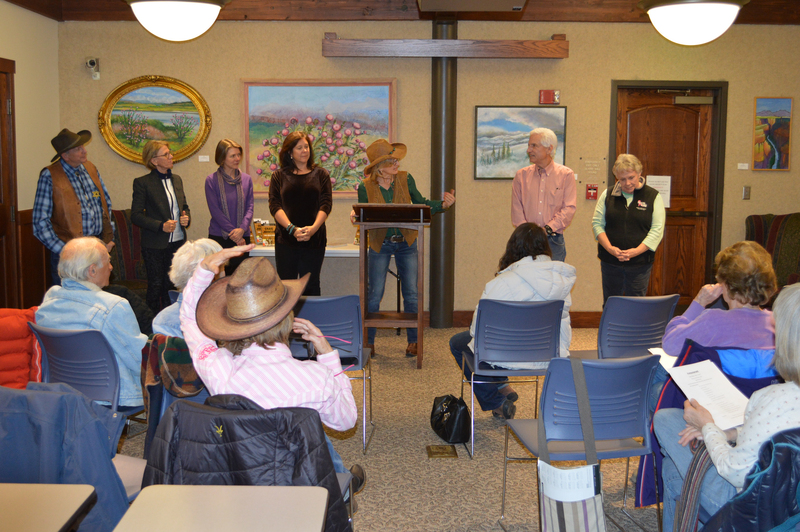 Mayors begin to gather – (l-r) George Brodin, Mayor Pro-Tem, Minturn; Virginia Egger, Town Manager, Avon; Megan Burch, Avon Town Councilor; Jennie Fancher, Avon Mayor; Andy Daly, Mayor, Vail; Pam Schultz, Council Member, Gypsum.